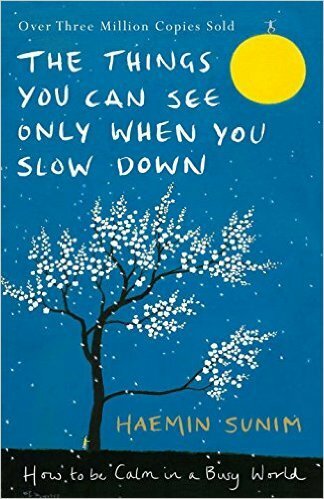 “The Things You Can See Only When You Slow Down,” written by South Korean Buddhist monk Haemin, has been nominated for the 2018 British Book Awards. The final shortlist for the awards was announced Friday (local time) by The Bookseller, the organizer of the awards and a British journal specializing in the publishing industry. Haemin’s essay was nominated for lifestyle book of the year. Books from seven categories have been awarded annually since 1990. The categories are children’s books; debut books; crime and thriller books; fiction; lifestyle nonfiction; narrative nonfiction; and audio books. Originally published in 2012 in Korea, Haemin’s essay has remained popular here for years. The English edition published by Penguin Life also topped British Amazon’s best-sellers list upon its release in February 2017. Final winners of the awards are scheduled to be announced on May 14 at London’s Grosvenor House Hotel.